Did you guys know that I'm a columnist for I Must Be Hallucinating? Well, I am and I enjoy writing about all the weird stuff that catches my attention and draws me in. 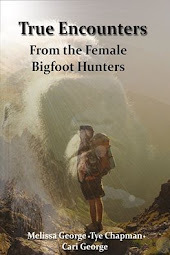 There are articles about cryptids, zombies, vampires, werewolves, aliens, and more. There are so many interesting articles, and the other authors are so interesting that I'm sure you can get lost in the site for days, just like I do. I Must Be hallucinating even has a shop with some pretty cool items that I'm sure will draw you in. Guess what?! You can get a 10% discount, if you enter PARASASS at the checkout! I enjoy investigating and researching the paranormal, UFOs, Bigfoot, Chupacabra, Mothman, Black Eyed Kids, and more. However, I specialize in child hauntings and child related phenomena. I'm the voice behind the column Monsters Under The Bed. 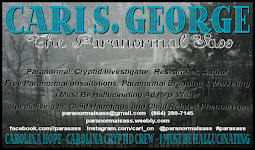 Follow Cari George (The Palmetto Queen/ CariOnMedia/ ParaSass)'s board paranormal sass on Pinterest.